Were we better off as cavemen? In this special two-hour installment, acclaimed filmmaker Morgan Spurlock and a group of nine ordinary men and women leave civilization behind to take part in an ambitious experiment. This is a nicely done piece that includes an interview with Robb and Professor Art Devany. Over an hour of Paleo fun, presented by the good folks at Mahalo. This show is a two-part interview with Robb Wolf. He offers his insights about the paleo eating regimen and the problems with modern diets. We ask him about his own evolution to the paleo lifestyle, from sick vegetarian, to lower carb, to paleo (dairy, grain, and legume free). This show is a two-par\t interview with Robb Wolf. He offers his insights about the paleo eating regimen and the problems with modern diets. We ask him about his own evolution to the paleo lifestyle, from sick vegetarian, to lower carb, to paleo (dairy, grain, and legume free). 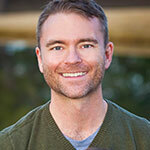 Today Jimmy speaks with the great Robb Wolf, Paleo diet expert extraordinaire and host of the new and highly-popular Paleolithic Solution podcast! Listen in for a scientific approach to Paleo nutrition and physical conditioning. During this interview, Robb gives an overview of Paleo diet for triathletes, then addresses reader questions. The best part of this piece is actually in the comments. The article is so-so at best. Is a strictly Paleo diet a good idea at all for athletes, or can it be modified into the 21st century, especially for the physique-focused Testosterone reader? “Paleo Solution” author Robb Wolf seems to think so.